News today from the NASA Mercury probe that an unexpected substance has been found on Mercury, in fact making up the outer crust of planet Mercury. The substance is graphite, which will be familiar to GCSE Science and Chemistry students, not only because it is used in pencil lead due to its slippery nature and black colour, but also because its unusual structure is frequently the subject of GCSE questions. Graphite is made of carbon atoms, arranged in layers in a giant covalent structure. While the bonds between adjacent carbon atoms are strong covalent bonds, the bonds between layers are weaker enabling slippage to occur. Further, the structure includes “free electrons” enabling graphite to conduct electricity. This is highly unusual for a covalent, non-ionic structure, as is its high melting point. Graphite is also used as part of nanotubes in tennis rackets. In some senses graphite is like diamond because it is also a giant covalent structure of carbon atoms, but in diamond there are no layers, just a continuously strong bonding arrnangement making diamond much harder. And of course you’d look a bit silly with a pencil for an ear-ring. What other GCSE substances are there on planets in our solar system? Well, on many planets we can find an iron and nickel crust, and on Mars recent photogrpahs indicated the possible presence of both water and methane, with the water creating channels that are still changing in appearance. This indicates that the water is still moving and not completly frozen, perhaps because of hydrated salts, which lower the melting point. This, together with the presence of methane (carbon with four hydrogens – natural gas – and another GCSE bonding question) indicate that Life on Mars is possible. 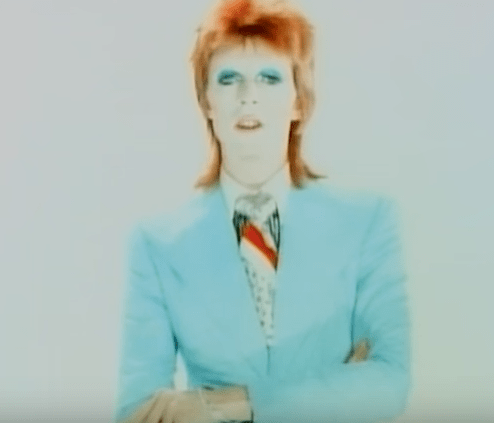 And so I need no excuse to include a video from the sadly missed David Bowie’s Life on Mars, one of the great rock records. So it may not get you any more marks, but in a GCSE question it would surely look cool to your examiner that you knew that graphite had been found on Mercury and methane and water on Mars ! As a footnote, a wonderful website called PeriodicTable.com contains picture links to all the elements, including carbon of course – try it! This entry was posted in Science and tagged Non metals chemistry on March 8, 2016 by Rick 1. A banker GCSE science question – the environment; what students need to know. Would seeing an exam beforehand really help? Colorado yellow river pollution in GCSE? Origin of the word Google – it’s Maths! One Direction’s Maths Song – it’s good! Could you wear Pink Floyd in Physics exam? England’s rugby demise – a GCSE lesson. Life of Pi – Maths makes you cool!